A Walt Disney World Resort Vacation would not be the same without all of the the special extras that you encounter during your stay. 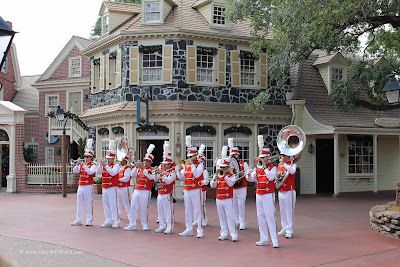 Each visit to the Magic Kingdom and other Disney World Theme Parks is far more than just the experiences obtained on the featured attractions. 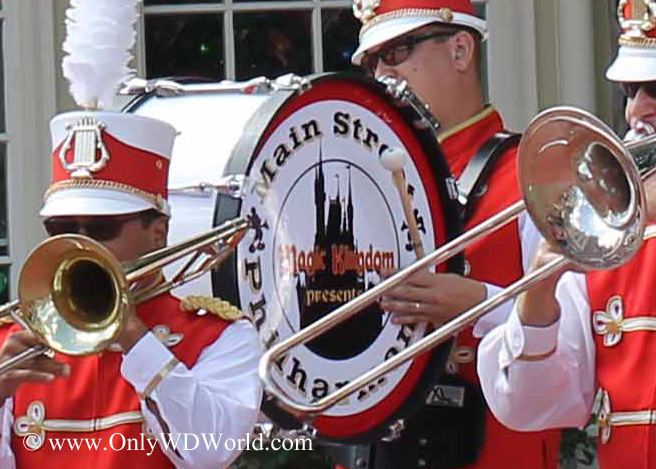 The little extras like "The Main Street Philharmonic" are a significant part of the Disney Magic. The Main Street Philharmonic is part of the Magic Kingdom musical entertainment. 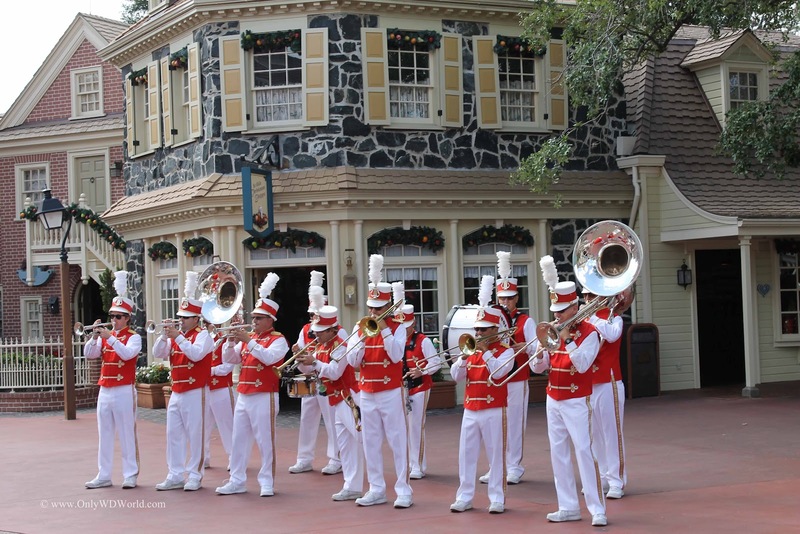 This 12 piece brass and percussion ensemble was recently spotted performing in Liberty Square. 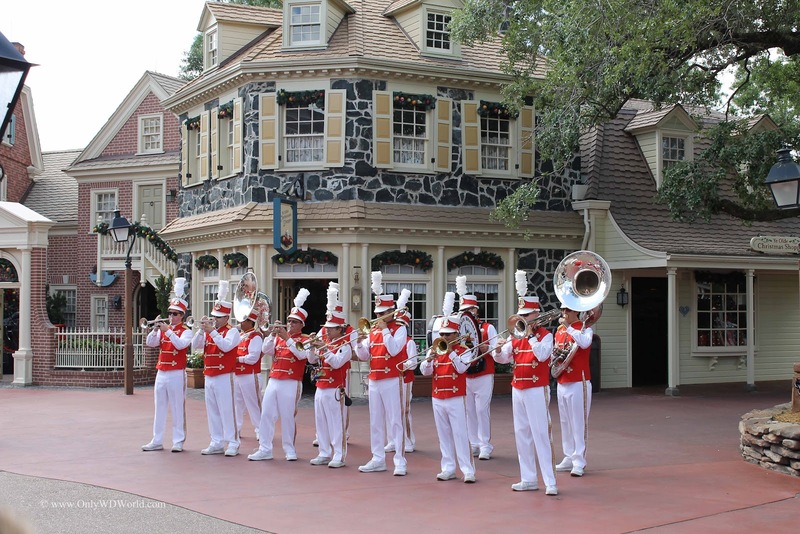 Like its namesake part of the park, the Main Street Philharmonic embodies a turn-of-the-century ambience with tunes like "Take Me Out to the Ball Game," "76 Trombones" and "Alexander's Rag Time Band." 0 comments to "The Magic Kingdom Presents The Main Street Philharmonic"